Microporous, silver-incorporated ceramic filters out particles, all harmful bacteria and parasites such as Cryptosporidium and Giardia. Essential minerals remain in the water. 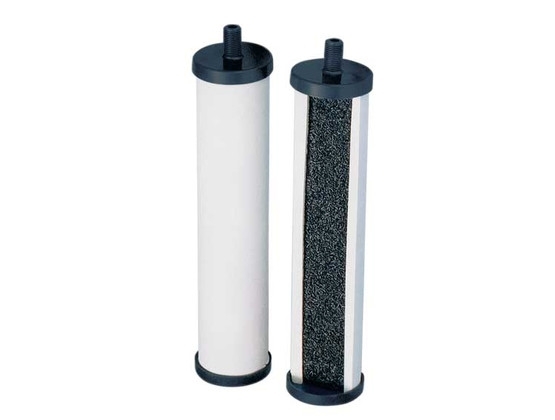 The high performance activated carbon removes unpleasant taste and odor such as chlorine and hazardous chemicals. Replace according to measuring gauge or every 6 months, whichever is sooner.